I myself have sat down with the BIG new rulebook and read the rules quite a bit. I have to say I'm cautiously optimistic when it comes to 8th. 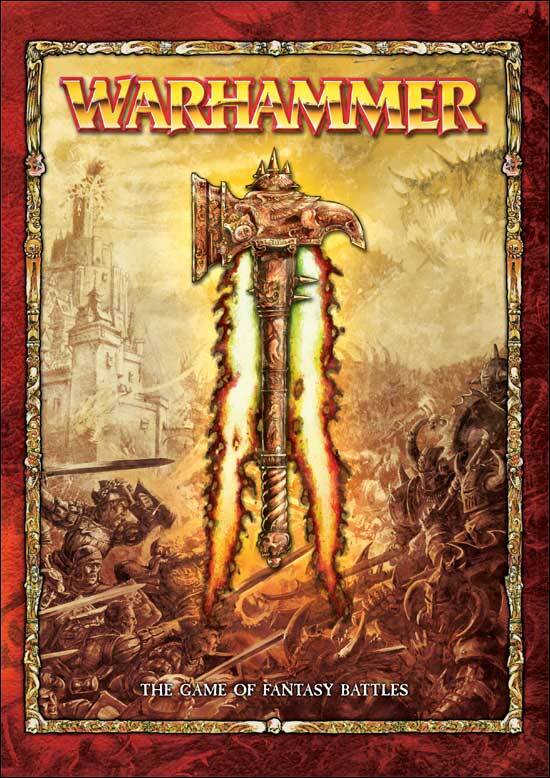 I hung up my WHFB shoes shortly after the release of Daemons of Chaos and haven't looked back. This edition appears to be bringing back the fun, and at the same time keeping the competition of the game. I want to go ahead and highlight a few of the rules that really jumped out at me to help shed some light on the new edition for those of you who don't have a store nearby to visit. I would also like to get some discussion going around 8th edition and what you guys are looking forward to most. So lets get things started here with one of the biggest combat changes for me. Yes indeed random charge distances are in. Infantry charges their movement + 2d6, and cavalry charges movement + 3d6 drop the lowest roll. This I feel is going to shake up the predictablility of the movement faces in WHFB. Before a veteran general could be fairly sure where his troops would end up or be fighting at during certain rounds. This has been somewhat mitigated by the fact that your troops will now be charging random distances and the fights might not be taking place exactly where you want them. I feel this gives the gave more of a tactical edge and less of a strategic edge. Those that are proactive and can think on their feet will like this rule a lot better. Also with the changes to the combat system I feel this is going to make fights happen faster and help speed those bigger games up that we all seem to want to play. On the flip side plan to get screwed by some poor dice rolls. Those inevitable 1's will happen where your infantry charges a poor 6 inches. Still this isn't the end of the world as many people are saying, in fact with the changes to combat and who strikes when charging matters little except for a +1 CR and determining where the fight will actually take place. Out numbering is gone in 8th edition. Instead everything simply revolves around ranks. If you have more ranks than the enemy you are basically stubborn. Don't forget ranks are now calculated at the end of combat, so those smaller choppy units will have a chance to even the odds before the fights over. Also note is it not rank bonus, but rather ranks. Flanking a unit that has more ranks than you will still result in a stubborn unit. They can also use the generals leadership check for this as well as rerolling it with a BSB nearby. The end result is large blocks of infantry aren't going anywhere. You will have to chew through them to destroy them. Suddenly things like Chaos Warriors, Saurus Warriors, and Dwarves seem a whole lot better. ~Those are just a few of the rules that I really like. The changes to the core mechanics of the game are going to favor large blocks of infantry taking the fight to the enemy. Gone are they days of caculating static combat res and comparing them to the enemy. 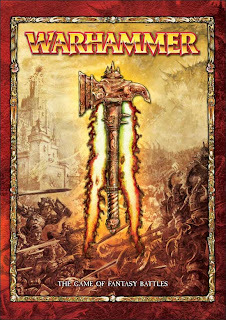 Get ready to think on your toes generals.. a brand new day of Warhammer is fast approaching. So let's hear you're thoughts and ideas on the new edition.